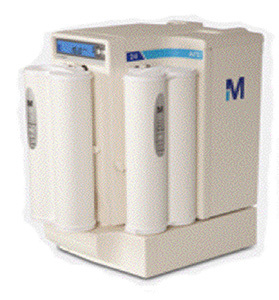 AFS 10E and 15E Systems provide an economical and reliable water purification solution for analyzers with pure water needs up to 300 L daily. AFS E systems combine state-of-the-art Elix electro deionization (EDI) technology with other complementary water purification techniques to provide reliable and consistent water quality. Water produced by the systems complies with the Clinical and Laboratory Standards Institute (CLSI) guideline for clinical laboratory reagent water (CLRW). 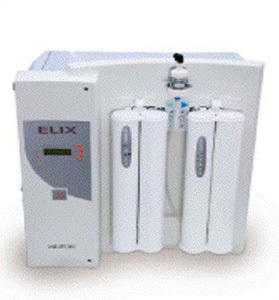 Elix EDI technology, which uses ion exchange resins that are permanently self-regenerated, helps ensure low and predictable running costs for the AFS E range of systems. The fact that there are no resin cylinders to replace also helps reduce system-related expenses for users. The systems are designed to fulfill accreditation needs (such as CAP 15189 accreditation to the ISO 15189:2007 standard) and have full monitoring and water quality archiving capabilities that allow storage of up to six months of data. Optional activation of Millie track software allows easy, rapid access to this information (and also enhances data management control and provides remote system access). Robust AFS E systems require little maintenance, thanks to patented Elix technology, which needs no softeners or conditioning cartridges—a cost-saving advantage that also means less analyzer downtime. Systems have a small footprint and can be installed wherever it is convenient in the laboratory: on a wall, on or under the bench, or on a cart. Small footprint and configuration can be adapted to fit changing needs. * For feed water with total chlorine concentration between 1 ppm and 3 ppm, Millipore suggests the use of an external PrePak, or other Millipore recommended pretreatment.